By using short Gaussian pulses from a monochromatic light source as input ones, we simulate the photon distribution and analyze the output signals of a nonlinear microring resonator with two nonlinear side rings. Such a configuration is called a Panda ring resonator, which is a modified add-drop filter with two alongside phase modulators. We consider the directional couplers, which are characterized by two parameters, i.e., the power coupling coefficient (к) and the power coupling loss (y). The nonlinear refractive index (n2) of the phase modulator affects the center ring and reveals more interesting aspects. The simulation model is constructed, and the results obtained with the use of a combination of the Lumerical FDTD and MODE programs are presented. The photon is conceptually interpreted in terms of a wave packet and discussed for possible applications. I.S. Amiri, J. Ali, P.P. Yupapin. Enhancement of FSR and finesse using add/drop filter and PANDA ring resonator systems. Int. J. Mod. Phys. B 26, 1250034 (2012). J.-T. Shen, S. Fan. Theory of single-photon transport in a single-mode waveguide. I. Coupling to a cavity containing a two-level atom. Phys. Rev. A 79, 023838 (2009). W. Bogaerts, P.D. Heyn, T.V. Vaerenbergh, K.D. Vos, S.K. Selvaraja, T. Claes, P. Dumon, P. Bienstman, D.V. Thourhout, R. Baets. Silicon microring resonator. Laser Photon. Rev. 6, 47 (2011). A.S. Prabhu, A. Tsay, Z. Han, V. Van. Extreme miniaturization of silicon add–drop microring filters for VLSI photonics applications. IEEE Photon. J 2, 436 (2010). P. Zhou, L. Zhang, Y. Tian, L. Yang. 10 GHz electrooptical OR/NOR directed logic device based on silicon micro-ring resonators. Opt. Lett. 39, 1937 (2014). A. Malacarne, F. Gambini, S. Faralli, J. Klamkin, L. Poti. 3D integrated hybrid silicon laser. IEEE Photon. Technol. Lett. 26, 1042 (2014). F. Xia, S. Sekaric, Y.A. Vlasov. Mode conversion losses in silicon-on-insulator photonic wire based racetrack resonators. Opt. Exp. 14, 3872 (2006). T. Phatharaworamet, C. Teeka, R. Jomtarak, S. Mitatha, P.P. Yupapin. Random binary code generation using dark-bright soliton conversion control within a Panda-ring resonator. Lightwave Technol. 28, 2804 (2013). P.P. Yupapin. Generalized quantum key distribution via micro ring resonator for mobile telephone networks. Optik 121, 422 (2010). I.S. Amiri, A. Afroozeh, M. Bahadoran. Simulation and analysis of multisoliton generation using a PANDA ring resonator system. Chin Phys Lett. 28, 104205 (2011). K. Padmaraju, D.F. Logan, X. Zhu, J.J. Ackert, A.P. Knights, K. Bergman. Integrated thermal stabilization of a microring modulator. Opt. Exp. 21, 14342 (2013). S.J. Mason. Feedback theory-some properties of signal flow graphs. Proc. IRE 44, 920 (1975). P.P. Yupapin, B. Vanishkorn. 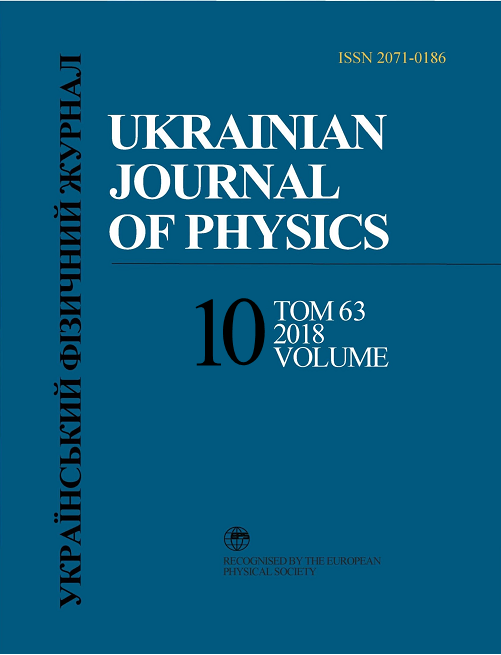 Mathematical simulation of light pulse propagating within a microring resonator system and applications. Applied Math. Model. 35, 1729 (2011). M. Bahadoran, J. Ali, P.P. Yupapin. Ultrafast all-optical switching using signal flow graph for PANDA resonator. Appl. Opt. 52, 2866 (2013). J.W. Silverstone, R. Santaqati, D. Bonneau, M.J. Strain, M. Sorel, J.L. O'Brien, M.G. Thompson. Qubit entanglement between ring-resonator photon-pair sources on a silicon chip. Nat. Comm. 6, 7948 (2015). K. Kues, C. Reimer, P. Roztocki, L.R. Cortes, S. Sciara, B. Wetzel, Y. Zhang, A. Cino, S.T. Chu, B.E. Little, D.J. Moss, L. Caspani. On-chip generation of high-dimensional entangled quantum states and their coherent control. Nature 546, 622 (2017). F. Sedlimeir, M.R. Foreman, U. Vogl, R. Zeltner, G. Schunk, D.V. Strekalov, C. Marquardt, G. Leuchs, H.G.L. Schwefel. On-chip multiplexed multiple entanglement sources in a single silicon nanowire. Phys. Rev. Appl. 7, 024029 (2017). P. Phatharacorn, S. Chiangga, P. Yupapin. Analytical and simulation results of a triple micro whispering gallery mode probe system for a 3D blood flow rate sensor. Appl. Opt. 55, 9504 (2016). W. Pongruengkiat, S. Pechprasarn. Whispering-gallery mode resonators for detecting cancer. Sensors 17, 2095 (2017). Q.L. Tran, P. Yupapin. Formalism of photons in a non-linear microring resonator. Proceeding of SPIE 10714, 107140M (2018). VarFDTD, Lectures Notes, available at https://emlab.utep.edu/ee5390fdtd.htm, Accessed on 10 December, 2018. Lumerical. https://kb.lumerical.com/en/solvers_varfdtd.html, Accessed on December 10, 2018. Lumerical's 2.5 FDTD propagation method, https://www.lumerical.com/support/whitepaper/2.5d_fdtd_propagation_method.html, Accessed on December 10, 2018. M. Hammer, O.V. Ivanova. Effective index approximations of photonic crystal slabs: A 2-to-1-D assessment. Optical and Quantum Electronics 41 (4), 267 (2009). A.W. Snyder, J.D. Love. Optical Waveguide Theory (Chapman & Hall, 1983). D.R. Smith, D.C. Vier, Th. Koschny, C.M. Soukoulis. Electromagnetic parameter retrieval from inhomogeneous metamaterials. Phys. Rev. E 71, 036617 (2005).